Brooke Rodgers teaches small custom classes for cooks of all ages. Located in Chevy Chase, DC, Just Simply… Cuisine North sources from its own organic gardens, as well as local grocers, fishmongers, farm markets, butchers, dairies and more. 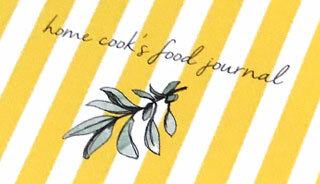 Cooking class menus change daily and feature ingredients that reflect the seasons and our moods. We choose menu items the day of class, once we see what’s fresh and exciting in the markets. We cook fresh, local and seasonal. Your group members will participate in and observe our menu items being prepared from scratch. Classes cover all skill levels, and we will answer your questions and offer tips and techniques throughout class. Custom classes last about 3 hours and include participation and instruction, 3-5 menu items, a wine pairing with the main and Pellegrino throughout the class. Our custom groups include friends, colleagues, couples, neighbors, kids, birthdays and the like. Currently, we have a group of #afterschoolcooks meeting every other week. If you have your own group… email us to set up a class. Just Simply… Cuisine North plans classes well in advance so if you should need to cancel, please do so at least 48 hours prior to your scheduled class. Or… make sure you send a friend to join us in your place and/or pay for the space we’ve reserved for you.